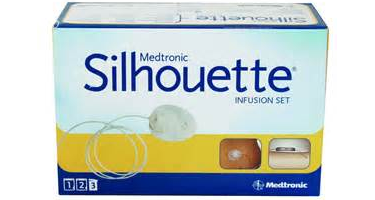 With a variable-angle (35 degrees) cannula, the Medtronic MiniMed Paradigm Silhouette infusion set is generally good for extra lean adults or even some children who have less depth to their body fat in which to place the cannula. Prices reflect manufacturer's retail price. Insurance information will be requested at check out if applicable.